We left Kilvrecht to head east along the string of lochs, all with hydro schemes for electricity generation, until we hit the A9 where we were able to start heading south again. We didn’t go far though as we were tempted by the Ordnance Survey map’s promise of bike rides just outside Dunkeld. Disappointingly there weren’t any waymarked routes, but we did manage a very strenuous couple of hours on tracks in Craigvinean Forest. It was still cloudy and we only got occasional hazy views of the Tay river valley. The forest tracks were steep in places and there was a lot of claggy clay which made them hard going. We found markers for the McRae memorial rally as we were going through the forest, as well of evidence of the substantial track maintenance that they must have undertaken to allow the rally to take place, we’d only missed it by a few days. When we got back to Bertie we were exhausted despite only covering 12 miles and didn’t have the energy for sightseeing in Dunkeld. We considered remaining parked up where we were, but it was gloomy and oppressive under the closely packed trees so we decided to move on. Driving further south we reached motorway! This must have been our first motorway since we arrived in Scotland back in mid August. Bertie trundled along happily in the wake of a lorry until we reached Kinross where we decided to stop for the night. 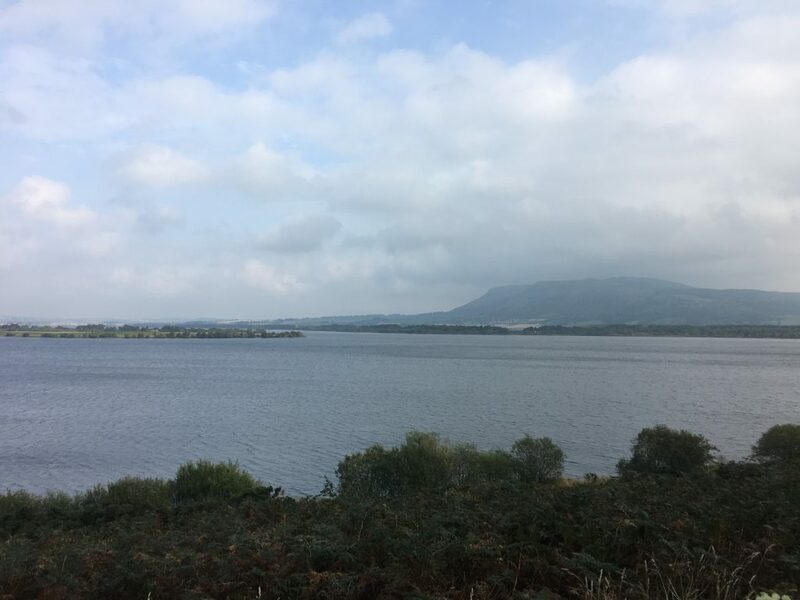 There were a number of car parks around Loch Leven and we opted to park in the most northerly one. When we got out for a little wander that evening we found information boards indicating that there was a bike ride around the loch. A lovely, flat, nicely surfaced bike ride. Just the antidote to our forest ride. It sounded ideal for the following morning. The bike ride was everything we had hoped for, a chance to un-knot muscles and enjoy lakeside views and level forest paths. 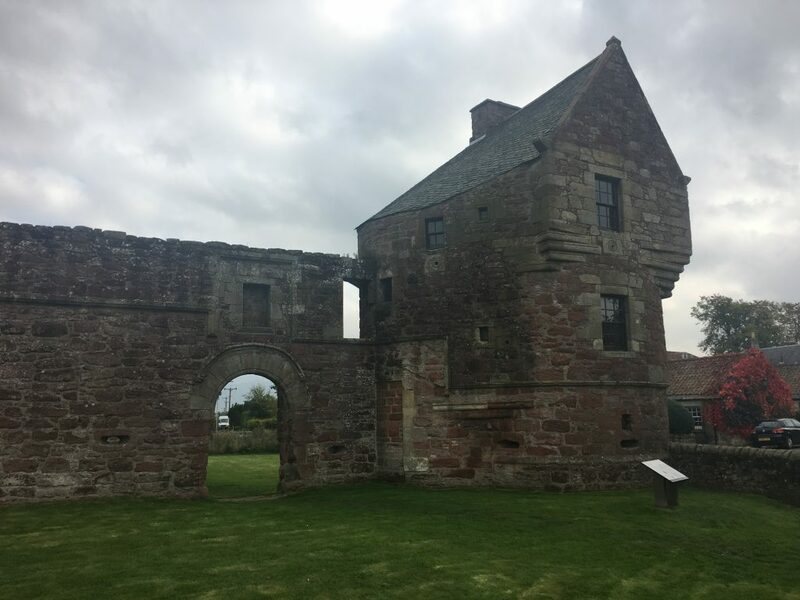 We stopped at a couple of bird hides on the way around, less for bird watching and more to allow us to relax, and we took a detour to Burleigh Castle on the way around. At about the same length as the previous day’s ride it took less than half the time which meant we were done before lunch and were able to move on to our next destination.